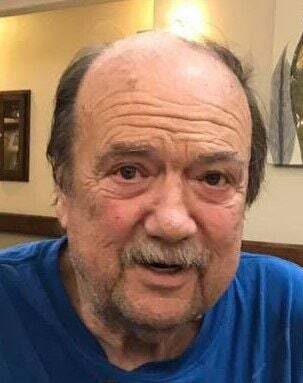 JOHNSTON CITY — Robert “Bob” Vohs, 73, of Johnston City peacefully passed away Thursday, Feb. 7, 2019, in his sleep. Born Friday, Aug. 17, 1945, in St. Louis, he was the son of the late Oliver Vohs and the late Hilda (Kuester) Vohs. His first wife, Terry (Fitzpatrick) Vohs of Herrin survives. Surviving are his son, Robert “Brian” Vohs and fiancée Eli Hearn of St. Louis; and daughter, Kelly Vohs and fiancé, Ken Alexander of Carterville; and two grandchildren, Madison Virden of Herrin, and Josie Hall of Carterville. Also surviving is his sister, Sue (Vohs) Auer of St. Louis. He was preceded in death by his parents; sister, Mary Ellen Vohs; and brother, John Vohs. Bob had a rewarding 32-year career at Prairie Farms Dairy and was loved by family and members of the community. Services will be at 1 p.m. Monday, Feb. 11, in Van Natta Funeral Home located at 427 S. Park Ave., in Herrin, with the Rev. Don Colson officiating. Interment will be in Herrin City Cemetery. The family will receive friends from 11 a.m. to 1 p.m. Monday, Feb. 11, in Van Natta Funeral Home. Online condolences may be made to the family at vannattafuneralhome.com.